Welcome to our International Preschool & Kindergarten. Safety Is Our First Priority! The only thing more important than the development of your child is safety. We have procedures and standards in place to cover pick-up and drop-off, visitors, equipment and furniture safety, and more. These procedures are periodically reviewed and updated to make certain they reflect the most current safety and security technology and practices. Heritage International School offers a home away from home environment, where children are well cared for and safe. We offer a fantastic program that helps children prepare for a lifetime of learning. HIS is an effective preschool where children are valued as individuals and where their needs for attention, approval, and affection are supported. HIS is where children can be helped to acquire a strong foundation in the knowledge and skills needed for school success. Learning is not necessarily the ABC’s and 123’s, but is also the learning of values. The learning of honesty, respect, self–reliance, and potential, self-discipline, and moderation, the values of being; dependable, love, sensitivity to others, kindness, friendliness and fairness are the values of giving! We believe young children are innately valuable, deserving of our kindness and respect. We understand that they are still developing emotionally and socially. They have limited life experience and language skills, and they need our guidance. Just as we teach children academic concepts, such as pre-reading, math, and science, we guide children’s social and emotional development through mentoring, example, and direct teaching. Heritage International School is a preschool and kindergarten for kids aged 2-6 years old that offers developmentally appropriate, theme based curriculum which focuses on the ‘whole’ child. 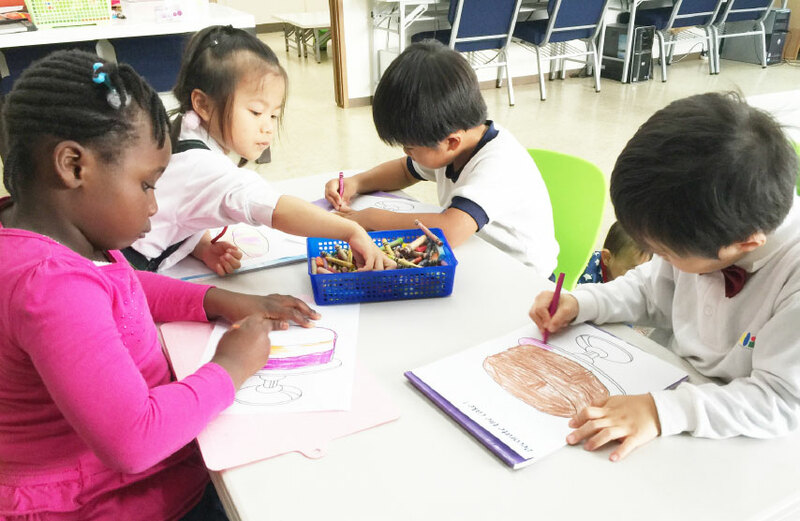 The preschool and kindergarten seeks to provide children with ‘real’ learning contexts in which to build upon current knowledge and understanding. Indoor and outdoor play is part of the regular routine and educational field-trips and outings are built into the program. Regular school hours are from 9:00 to 2.00 with Extended Care services available from 2.00 till 5.00. – At Heritage International School, teachers will meet each child at their developmental level and will present activities to help them progress to the next educational and developmental milestone. All children are encouraged to explore and learn at their own pace. Heritage International School takes a nurturing and collaborative approach that includes the parents along the way. Our teachers value consistent communication with parents and will consult with parents to develop an appropriate learning plan. Teachers will provide parents with quarterly updates of the child’s progress throughout the school year. The student to teacher ratio is kept low (approximately 5:1) to allow for ample time for teachers to address the daily needs of each child. Children are always encouraged to share their ideas, opinions, and concerns with teachers at all times. Heritage International School’s focus is on providing a safe, friendly and open environment for all children. – We provide a customized curriculum designed to prepare students to excel in elementary school. Our curriculum teaches children about the world around them. Children develop academic, social, emotional, and citizenship skills every day in a fun and interactive manner. Learning is never boring and instead is uniquely mixed with songs, music and movement, art, and crafts. 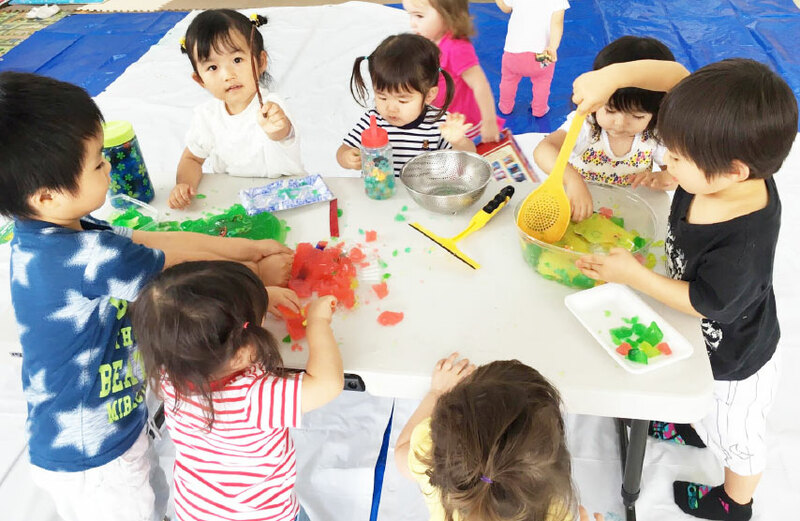 All activities developed and taught are developmentally and age appropriate for preschool and kindergarten-aged children. Heritage International School expert teachers are able to provide additional customization of activities to meet even advanced children’s educational needs. In an encouraging and welcoming environment, children will also learn the importance of integrity, honesty, and taking responsibility for one’s actions. As a note, Heritage International School is not a child care program or “daycare”. In contrast to “daycare” Heritage International School emphasis learning and have formal activities that children complete each day to review important academic concepts related to numerical knowledge, vocabulary, literacy, social-emotional development, and science inquiry. Our curriculum is reviewed and updated annually to ensure that the activities and concepts taught are in line with the current academic requirements for students to excel in elementary school and beyond. Heritage International School learning environment is carefully and thoughtfully designed to encourage opportunities for creative investigation and exploration. Children’s tremendous capacity to learn is enhanced when they experience nurturing environments, and are able to actively explore their worlds through play. Children expand their learning with every experience, every interaction, and every observation they make. Children are encouraged to make new discoveries, actively pursue their interests, ask questions, solve problems, and develop a lifelong love and excitement for learning. Children respond best to an environment that makes them feel safe and secure. When they are given a special place to keep their belongings safe, children feel respected. When they know where to play, they are less likely to wander. When children know which things are clearly theirs and which are off-limits, they learn to respect the rights of others. And children who have a wide variety of interesting and age-appropriate toys to play with are more likely to become involved in purposeful activities throughout the day. We recognize that every child is unique and brings qualities from birth that can all be directed in a positive and acceptable direction. We respect each child as an individual with their own characteristics, strengths, weaknesses, interests, temperament, strategies and learning pace in a safe, happy, free, caring and respectful environment where everyone is respected and actively engaged in learning and oriented to achieving success. We seek and accept students for admission without reference to race, color, age, nationality and ethnic origin or gender. In farming, Seeds needs clean air, sunlight, healthy soil and water in the right proportion to grow, so are children. Children needs the right learning environment (soil) to grow- children expand their learning with every experience, every interaction, and every observation they make. A well planned learning atmosphere (Air) is needed to thrive-HIS learning environment is carefully and thoughtfully designed to encourage opportunities for creative exploration and experience that makes them ponder and pursue a whole new world in and out of the classroom. Since children are naturally curious, we have carefully setup our learning center to enable them to investigate and invent. Children’s tremendous capacity to learn is enhanced when they experience nurturing environments, and are able to explore their worlds through play. We know children should be praised and celebrated, so we at Heritage International School international preschool create avenues for them to present their new invention and discoveries. Nurturing hands and warmth from experienced and knowledgeable early childhood educators is like the Sun shinning bright over the tree. Efforts of parents/guardian are like the stream of water supplying the tree with its nutrients which makes the leaves green and causes the tree to bring its fruits in the right season. Choosing the best educational environment – where children flourish according to their needs and abilities – is more critical today than ever, and we at HIS are pleased to help you with this journey. We know when children can figure out new ideas and concepts on their own and when it is important to explain things to them step-by-step. We encourage children to participate in classroom activities and to honor the classroom rules. We listen to what the children say and expand upon their language, building their vocabulary and background knowledge. We know when to teach directly, when to provide time for exploration and discovery, when to practice skills, and when to encourage creativity. We plan activities that have a purpose and that challenge children. We know how to help children learn to work together and to resolve their conflicts. We encourage children to respect each other’s time and personal belongings. We provide many opportunities for conversations between and among children and with teachers. We know how to establish and maintain order in a classroom but in a manner that permits the children to learn how to participate in and enjoy learning. We arrange the classroom in a way that enhances their work with children and how the children spend their time. Our goals is to daily work with children and be totally authentic and purposeful. We successfully combine contemporary yet rigorous teaching, learning and assessment practices with the important family-like relationships which exist between teachers, students and parents. This approach takes the view that children are co-constructors of their own learning, and that children learn by making meaning of their everyday experiences. This powerful combination creates a very special school climate where learning is fun, exciting, focused, engaging and challenging and at the same time collaborative encouraging and supportive. We invite you to join us on our journey into the 21st century! IF YOU WOULD LIKE TO COME ALONG AND CHAT TO THE TEAM, LOOK AROUND OUR SCHOOL AND TRIAL A CLASS, WE ARE WAITING FOR YOU! PLEASE BOOK AN APPOINTMENT IN ADVANCE.